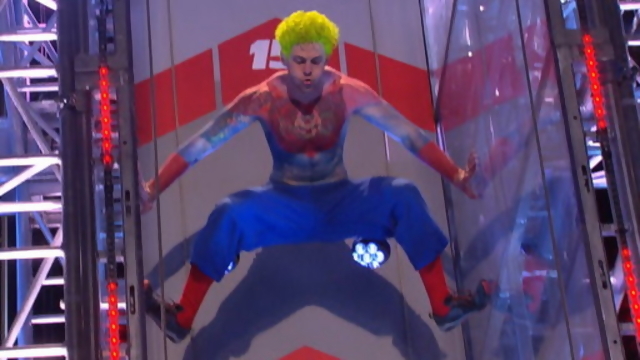 The show – now several seasons into the NBC schedule after starting on the G4 cable network (now the Esquire Network) – is based on the long-running Japanese show “Ninja Warrior,” that also gained popularity on G4. It puts contestants through a series of increasingly difficult physical challenges. No contestant has completed the American course to its conclusion. Rahn, who attended the Cherry Hill School District, has been on the show for several seasons, branding himself as Captain G4, then as Captain NBC. Last year, Rahn opened Pinnacle Parkour Academy in Cherry Hill, a unique workout facility for athletes – and for potential Ninja Warriors. Watch him take on the latest set of obstacles during tonight’s broadcast at 9 p.m. today. Click for Ninja Warrior articles on the Bulletin in the past. Click for video of Rahn’s Round 1 2014 run through the course in St. Louis. 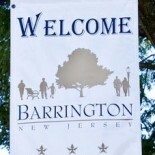 This entry was posted on July 21, 2014 by Barrington Bulletin in Sports and tagged captain nbc, ninja warrior, rahn.